Друзья на моей выставке в галерее ArtSeverina. Фотограф призвал сделать «семейное фото», мы согласились! Фотография получилась более чем интересная. Луч энергии прошёл через Асю! Ася — мой давнишний друг, который всегда рядом. А этот луч, как некий знак и символ! Я люблю такие фотографии. 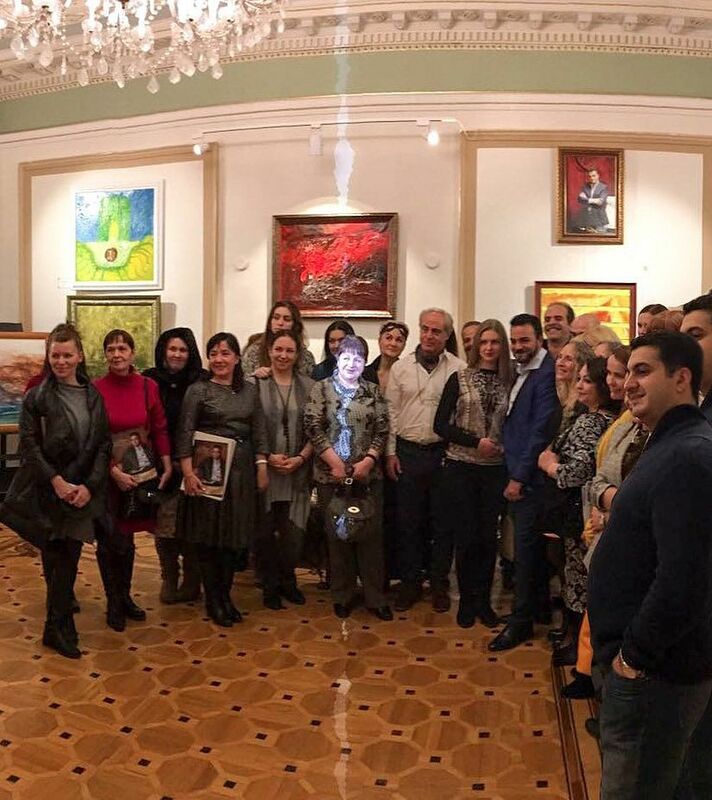 My friends at my exhibition in the Artseverina Gallery. The photographer called to make a «family photo» and we agreed! The photo turned out to be more than interesting. The ray of energy went through Asya! Asya is my old friend, who is always there. And this ray is like a sign or a symbol! I love such pictures. This photo was made on the territory of “Bogdinsk Baskunchakskii” nature reserve. It is unique because here you can see with a naked eye a round-shaped bundle of energy near the meditating person. 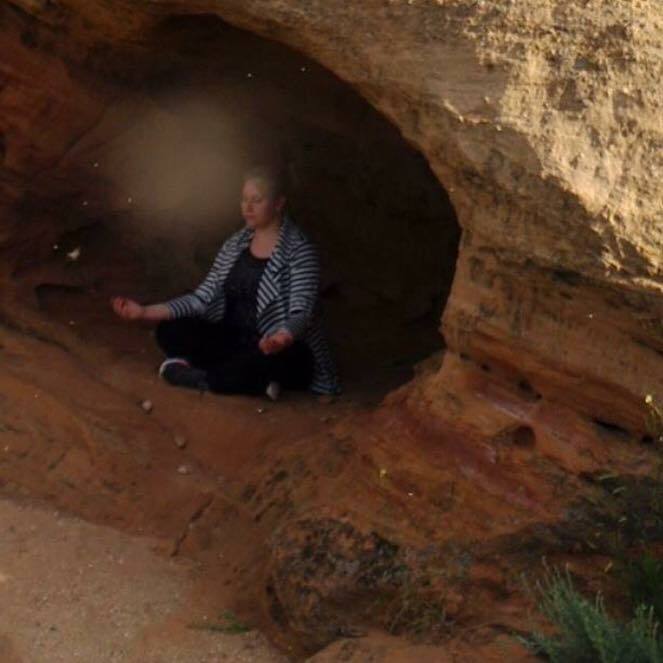 Why did it appear next to this woman during her meditation? The presence of this sphere – it can be of different shapes – means that this person was truly meditating and her thoughts were positive and kind. It is healthy for your body and soul to meditate. If you possess harmony in your soul, it helps to deal with everyday stress – and there is much of it nowadays – more efficiently. Let yourself withdraw from everything that is going on in your life and think about positive things, concentrate your mind on the good and peace. And remember that all your phrases like “I can’t” or “it doesn’t work for me” are just excuses. Try harder, put your effort into it and you will get there. Diligence is the mother of success! I wish you all to succeed!